This slower paced class is open to all yogis, new or experienced, who would like to spend time settling into poses, focusing on the alignment of each pose and relaxing with the breath. 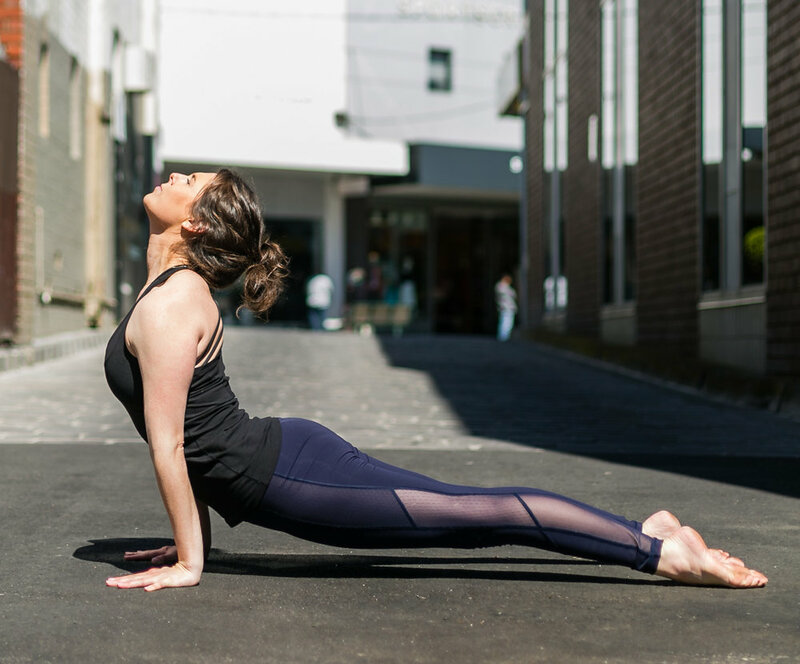 Our Vinyasa Flow practice involves a series of smoothly flowing postures that are synchronised to the breath. Students will not only experience powerful changes in strength, flexibility and toning of the body, the focus of mind-body connection will leave you feeling relaxed and in a meditative state. Yin Yoga is a meditative practice that consists of floor postures held passively for extended periods of time (1-5 minutes). The asanas (postures) target the underlying connective tissues of the hips, pelvis and back. The practice of surrender opens the body and helps practitioners cultivate the ability to observe and stay with sensation. Be treated to this beautiful fusion of Yin Yoga with Yoga Nidra. A 90 minute class focused on deep, nourishing holds followed by a deep, peaceful meditation. Enjoy a full practice concentrated into 45 minutes, giving you time to get back to work, feeling clear, fresh and renewed. If you're feeling worn out from the stresses of your daily routine and need to wind down, then a Restorative Yoga Workshop could be just what the doctor ordered. The perfect class for new students, those returning from injury or illness, or if you just want a gently moving practice to boost your energy levels. Fairy tales, play and movement. Your little one will be introduced to yoga through classes that will keep them intrigued, excited and (let's not forget) focused. During a time when many changes are taking place, Yoga for Teens will help teenagers to find balance, calm and confidence.